Become a Member to receive discounts on classes, workshops, the museum shop, plus free admission and more! …needlework can be seen as giving a woman a kind of ‘voice’: stitches, instead of words, becoming a language through which she might speak. Join us for this unique opportunity to continue the tradition of Armenian needlelace! 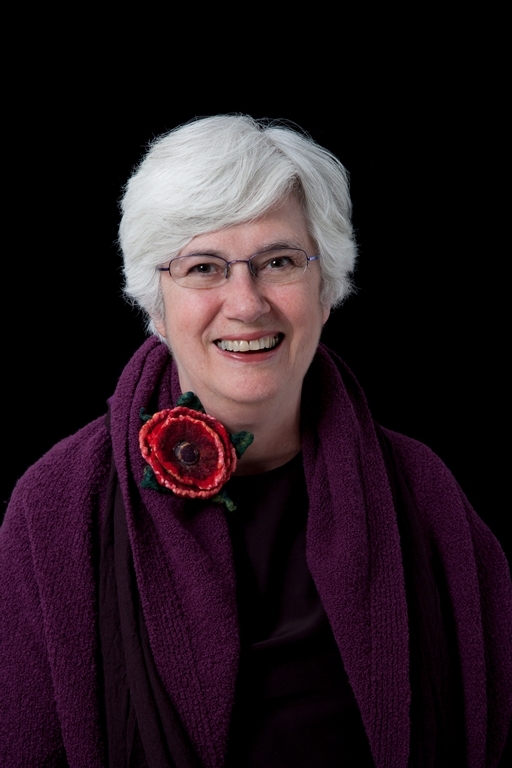 Taught by Textile Curator Susan Lind-Sinanian, these three sessions are a unique opportunity to learn intricate regional techniques that were passed down through generations from mother to daughter. All materials are supplied so just show up ready to learn techniques practiced by Armenian women for centuries. Examples from the Museum’s textile collection will provide inspiration as you find your voice by sewing edgings on linens. Have Armenian needlelace at home? Bring them in to share your family story! When: Sundays from March 31st to April 14th, 3pm–5pm. 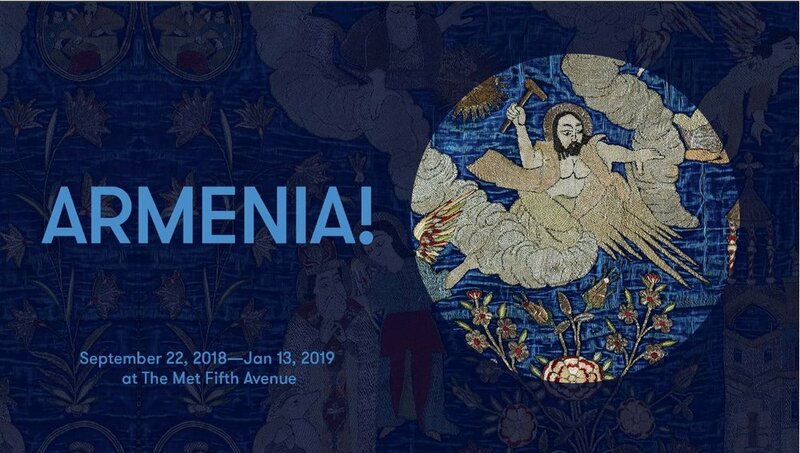 Beginning this February break, the Armenian Museum is offering a six-week art program for children of all backgrounds ages 7-14 years old. The program’s classes are Drawing and Painting, Collage, and Pottery Decoration. Students will find inspiration among the objects on display in our galleries, and study global influences on Armenian art and culture. Each class will be a fun, interactive journey of discovery! During the first class, students will explore observational drawing techniques while sketching objects on display in the galleries. The following class will focus on the artwork of Arshile Gorky, which highlights concepts of abstraction and composition to challenge students’ notions of art and representation. Our artists will apply these techniques to their sketches, and leave with beautiful figurative and abstract works of art! Students in our collage classes will draw inspiration from renowned 20th-century Armenian artist Sergei Parajanov. 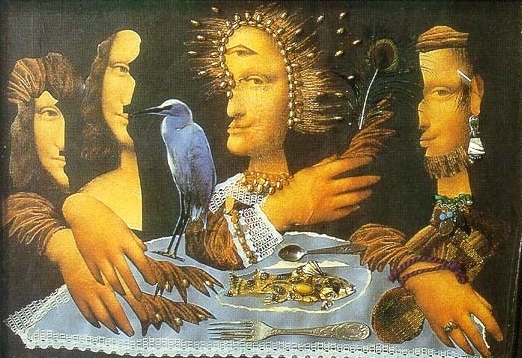 Our instructor will lead them on an interactive examination of Parajanov’s collages, where they will learn about Surrealism and avant-garde ideas, lighting a creative spark that guides them in the creation of their own unique compositions. In the 18th century, the Armenian ceramic tradition flourished in Kütahya (modern-day Turkey). With global influences and vibrant yellow and red bole colors, Kütahya ceramics are a distinctive and treasured part of Armenian heritage! Students will connect with the unique Kütahya ceramic tradition through examples in our collection, before painting their own original designs on pottery. 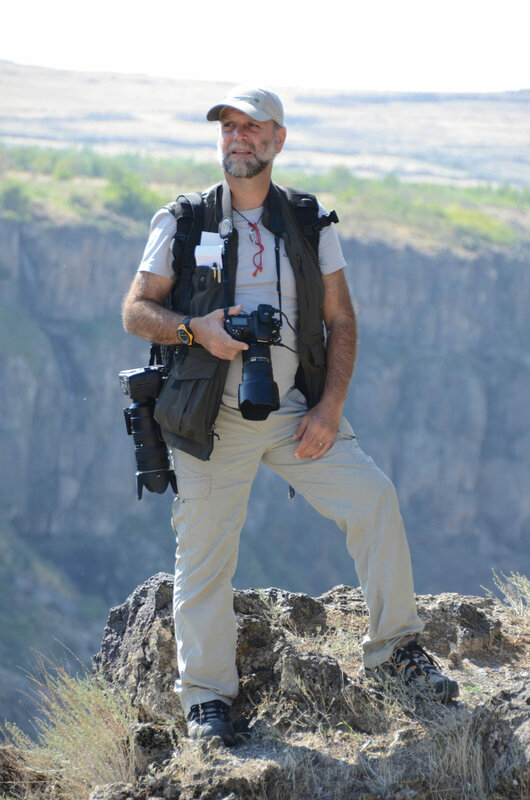 Garin Habeshian is the Education Coordinator at the Armenian Museum. He received a Master’s in Teaching at Clark University in 2015. Arevik Tserunyan is the 2018–2019 Artist-in-Residence at the Museum. She received an MFA from the School of the Museum of Fine Arts in 2015 and has shown her work in Yerevan, Armenia, as well as in Boston, MA. Arevik has taught at Yerevan Pedagogical University and the School of Fine Arts for Children in Armenia and was a Teaching Assistant at the SMFA in Boston. 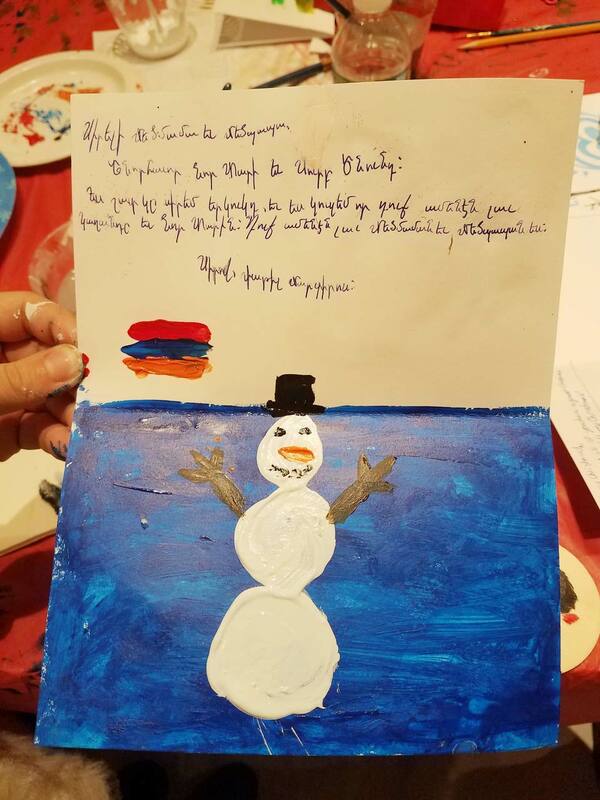 Arevik is fluent in Armenian, English, and Russian and brings her unique artistic perspective to these courses to help children explore ideas within the Museum setting. The painting and visual art course will introduce young students to the general history of Armenian art. Students will learn various painting, drawing and mixed-media techniques. We will experiment by working with various types of paper, as well as learning a unique technique of collage and decoupage. Our studio will become an art laboratory where we will investigate one of the oldest civilization’s culture and history as well as find new formulas in painting and drawing. The goal of our “expedition” is to enrich our little “archeologists” with creative and analytical way of thinking. The painting and visual art course will introduce young students to the general history of Armenian art. Students will learn various painting, drawing and mixed-media techniques. We will experiment by working with various types of paper, as well as learning a unique technique of collage and decoupage. Our studio will become an art laboratory where we will investigate one of the oldest civilization’s culture and history, as well as find new formulas in painting and drawing. The goal of our “expedition” is to enrich our little “archeologists” with creative and analytical way of thinking. The Museum is offering Painting II art classes this summer for kids interested in learning to paint and draw among the objects in the galleries. The Museum is offering Painting I art classes this summer for kids interested in learning to paint and draw among the objects in the galleries.